Cologne - This season's saving grace or a long-term replacement for ? Since Borussia Dortmund announced the signing of Slovenian attacking midfielder Kevin Kampl, questions have been raised as to whether the former RB Salzburg man has been bought with a view for immediate improvement or long-term planning. There is little doubt Kampl has the potential to become as big a name in the Bundesliga as he had become in the eponymous Austrian top flight, yet the step up is considerable and it is a big ask of Kampl to be the immediate remedy to Dortmund's ailments. The expectations are nevertheless high regarding the 24-year-old. "Kevin Kampl's a versatile attacking midfielder who we've been monitoring for a while now," said Dortmund's sporting director Michael Zorc on his club's website. "His style of play fits in perfectly with what we had been looking for." That being a creative, goalscoring midfielder. A player of Reus' ilk. Four goals and four assists in the UEFA Europa League suggest Kampl does indeed have what it takes to make it in the Bundesliga and one man who knows him well, Ralph Hasenhüttl is not in two minds. "Kevin is destined for much greater things," said the former VfR Aalen coach, who had the Slovenian at his service in the Bundesliga 2 just two and a half years ago. Kampl was not in Aalen for long before Salzburg made use of a clause in his freshly-signed contract which shipped him out after less than two months at the club, where he arrived after failing to break into the Bayer 04 Leverkusen first team. "They already had Simon Rolfes, Lars Bender, and back then Michael Ballack and also Arturo Vidal or even Gonzalo Castro who could play in my position," said Kampl to redbulletin.com "A 17 or 18-year-old's not going to get past those guys." Maybe that is more because he was focusing on the wrong position, however. As he had shown in the German third division with VfL Osnabrück, and in the short time spent with Aalen, his position is further up the pitch. Whether he will get the chance to show that on the top table of German football in the second half of the season remains to be seen, but merely joining Dortmund is more than he could have dreamt of. "I was a BVB fanatic as a kid so it's a dream to play for this club," he told Sky Sport News. "I had everything you could get with Borussia on it - bedding, shower gel, even a BVB desk," added Kampl to Bild. A picture of a young Kampl carrying a BVB bag to school testifies for his love of a club he is now set to represent, perhaps sooner rather than later. With Reus still sidelined, Henrikh Mkhitaryan doubtful for the Bundesliga restart and Pierre-Emerick Aubameyang and Shinji Kagawa both away at the African Cup of Nations and Asian Cup respectively, Kampl could find himself thrust straight in at the deep end. It would not be just because there is no other option, though, with Kampl identified by Dortmund as a man they need - and now. "Kevin Kampl's a fast midfielder who has a strong grasp on how to press the opponents, and that's why he's such a good fit," said CEO Hans-Joachim Watzke. Furthermore, Salzburg played a similar style of football to Dortmund under current Leverkusen coach Roger Schmidt so Kampl should not have too many problems adapting. 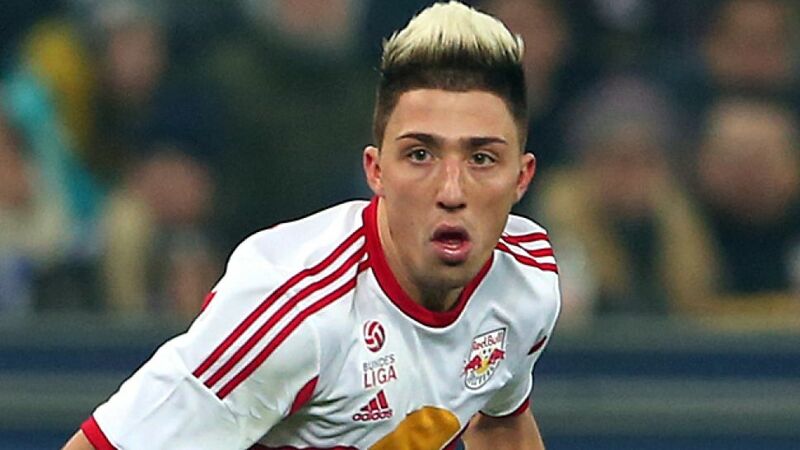 "I love total football," said Kampl. "Just waiting for the ball to arrive is not my style - I have to go and get it." If those words were not music to Jürgen Klopp's ears, then the next most certainly will be. "I'm going to give it everything from day one because I don't know how to give less than 100 percent." That is precisely what Klopp needs with his side looking up at 16 of their 17 rivals in the Bundesliga with half of the season to go. "I'm sure we'll be very well prepared, and then the season will look totally different in the end," added Kampl. Maybe Dortmund have found their saving grace.